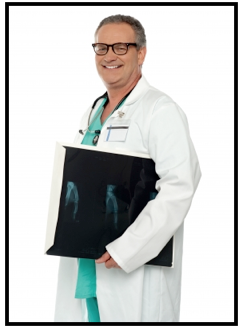 How Do Radiologists Succeed Under Healthcare Reform? As a result of reforms in the healthcare system, today’s radiologists face tremendous challenges in their day-to-day operations. Radiology professionals that are looking to understand how the new Affordable Care Act impacts their practices should plan to attend the All New RLI-Kellogg Leadership Development Program, July 25-28, 2013. It will be held at the Hilton Orrington/Evanston in Evanston, IL and will address such topics as radiology billing, deal making, and operational efficiency. This program will provide radiology professionals with information about developing leadership in the field of radiology, more effectively managing the operation of their firm, and best practices for negotiation inside and outside of a medical organization. · Creating loyalty without resorting to coercive tactics for compliance. This portion of the event will feature introductory remarks by prestigious radiologists including Cynthia Sherry, MD, MMM, FACR, FACPE, Chairwoman and Director of the Radiology department at Texas Health Presbyterian Hospital of Dallas and Alexander M. Norbash, MD, MHCM, FACR, an interventional radiologist that has an active endovascular neurosurgical practice. · Practice and theory involved in creating and sustaining strategic medical alliances including licensing agreements, consortia, and buyer-supplier partnerships. · Designing alliances in such a way that helps participants avoid the potential issues that can arise during the course of these relationships. Speakers at this day’s program will include Fred Downs, PhD, the Practice Administrator for DIS (Diagnostic Imaging Specialists), a radiology practice in Atlanta, and Arl Van Moore Jr., MD, FACR, FSIR, FAHA, North Carolina’s Chairman of Strategic Radiology. · How to formulate an approach to another party that allows you both to maximize the potential of the deal. · When it is best to agree with a deal, and when it is best to simply walk away. · Steps to analyze negotiation situations and come up with a negotiation plan as quickly as possible. This day of the program will also feature speeches by Jonathan Berlin, MD, MBA, Clinical Associate Professor of Radiology at the University of Chicago School of Medicine, and Tanya Menon, PhD, Associate Professor of Managerial and Organizational Behavior at the University of Chicago Booth School of Business. Sunday, July 28, features a half-day of topics that cover entrepreneurship within a larger company. Be sure to sign up for this exciting event by July 19 if you want to understand how changes to the law will impact radiology billing and other fields that are important to modern radiologists.